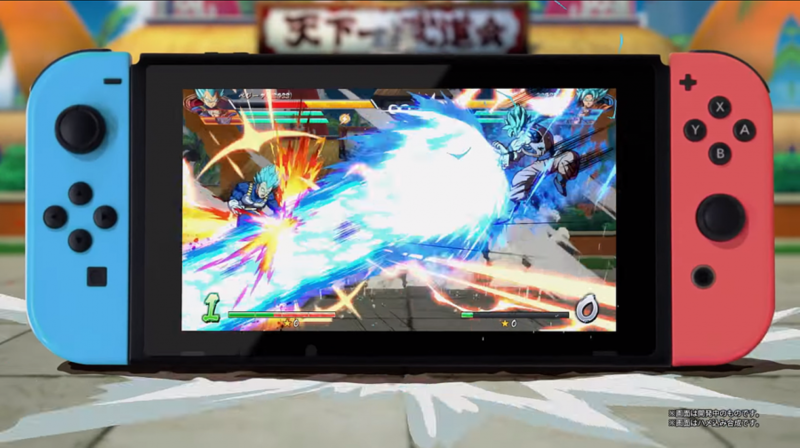 Earlier this year, Nintendo announced that Dragonball FighterZ will be coming to the Nintendo Switch via their Nintendo Direct presentation and a few days ago, it was announced that there would be a demo beta of the game for the said system. Today, a new TV Commercial for Dragonball FighterZ for Nintendo Switch has surfaced which is not only a TV Commercial advertising the game but also revealed the release date, at least for Japan. In the TVCM, it was revealed that the release date for Japan is on September 27th. W̶e̶ ̶s̶t̶i̶l̶l̶ ̶d̶o̶n̶’̶t̶ ̶k̶n̶o̶w̶ ̶w̶h̶e̶t̶h̶e̶r̶ ̶o̶r̶ ̶n̶o̶t̶ ̶N̶A̶ ̶a̶n̶d̶ ̶/̶ ̶o̶r̶ ̶E̶U̶ ̶w̶i̶l̶l̶ ̶f̶o̶l̶l̶o̶w̶ ̶t̶h̶e̶ ̶s̶a̶m̶e̶ ̶r̶e̶l̶e̶a̶s̶e̶ ̶d̶a̶t̶e̶.̶ For NA and EU however, the game will be released on September 28th, a day later than Japan.